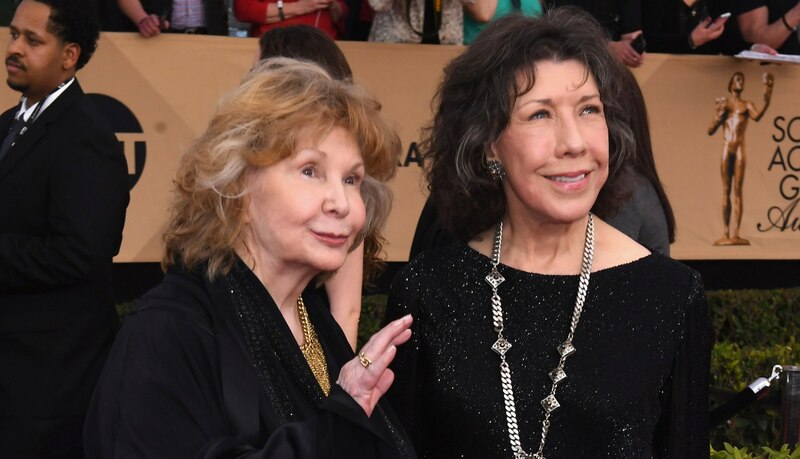 Lily Tomlin and Jane Wagner are probably the most low-key couple in the biz, but their love story is truly one for the ages. What many thought was merely a professional partnership or at most BFFs was really a romance that blossomed quickly and quietly and has bloomed into a 42-year relationship — and, in the last several years, a marriage. Here are some things you probably didn’t know about this wildly funny couple. Wagner caught Tomlin’s funny bone before she caught her eye. After seeing the after-school special Wagner wrote, she invited her to collaborate on Tomlin’s comedy album And That’s the Truth in March 1971. They’ve been inseparable ever since. While their relationship was an open secret they never made an effort to hide, it also wasn’t really public knowledge for many years. Tomlin says back in 1975, Time magazine tried to bribe her into making a huge public coming-out statement. The whole collaborator thing wasn’t a cover — the pair have written celebrated works together, including Tomlin’s Tony Award-winning show The Search for Signs of Intelligent Life in the Universe, The Incredible Shrinking Woman, and Moment By Moment, as well as Grammy-nominated albums Modern Scream and On Stage. Tomlin can currently be seen in the absolutely hilarious show Grace and Frankie, co-starring Jane Fonda.